Samuel L. Jackson is bringing back his Unbreakable character for 2019's Glass. 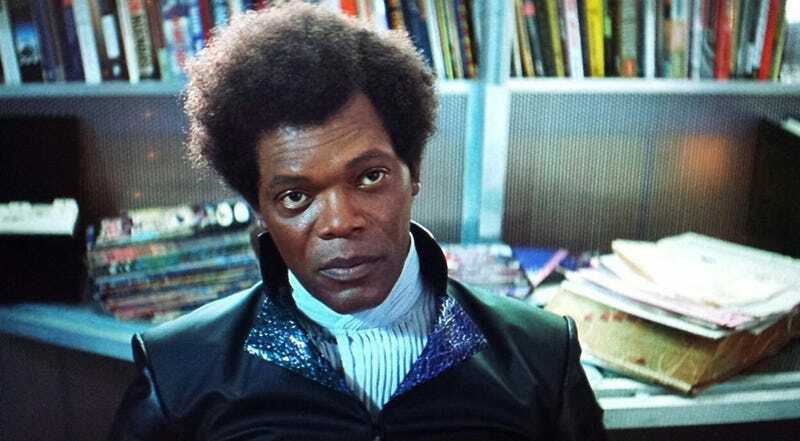 Considering it’s called Glass, it’s no surprise Samuel L. Jackson sees the upcoming film as the ultimate wish fulfillment for his sinister supervillain character of the same name. To viewers’ surprise, the story continued in the 2017 film Split, where another person with superhuman abilities, played by James McAvoy, was revealed to be in the same universe as Glass and David. So, in Glass, audiences will finally see those both stories come together in an intriguing way. Jackson can now be seen in Incredibles 2 and, briefly, in Avengers: Infinity War. He’s currently shooting Captain Marvel for release next year, and Glass will be out January 18.